One of the things that separates me from the other athletic development and stress management coaches is my literal hands on approach. As a licensed massage therapist I have over 15 years of of helping people get out of pain, improving performance, and reducing stress using a variety of noninvasive manual therapy and breathing techniques. Add to that my unique background in both aqua and land based training techniques, and I have the ability to help clients eliminate pain and regain performance in an efficient and effective manner unseen with standard approaches to pain and rehab. Pills do not correct the underlying problem, but are able to mask the pain. I do not have that deceptive luxury. I must find and address the underlying problem or I will not be able to alleviate the pain. With over a decade of experience I have repeatedly reduced and eliminated pain in as little as 1 session for my clients. I have collected a tool bag filled with techniques that quickly find the problem and bring relief and recovery. Many clinics are run like a large institution with set schedules and hours that force you to fit their schedule and timeline. Being in pain is enough of an inconvenience, schedule an appointment should not be. I am willing to work with my clients and athletes outside of “normal” business hours and location to get them back to where they need to be. As a massage therapist I am limited in the modalities that I can use in my practice, but not in the scope of my therapy session. What this means is that while I cannot use electric stimulation or ultra sound (modalities) I can address your pain in a whole body and mind approach. I can address your pains from toes-to-ears in a single session using a variety of modalities and techniques. There are many great coaches and therapist stuck in bad situations that force them to use generalized protocols. The system forces a particular style and methodology. 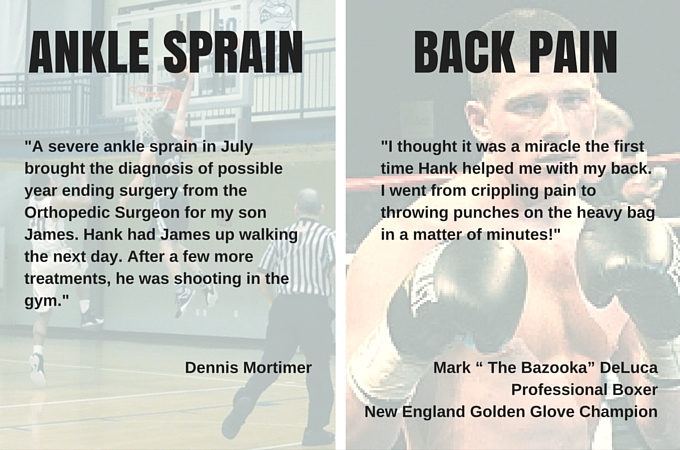 I personally do not believe that pain or performance can be treated like making hamburgers. No assembly line approach here, rather a personalized program and protocol that matches your pain tolerance and lifestyle, with your rehab and timeline goals. Being free of pain during passive motion and through a full range of motion is only the first step to regaining fully functional pain free movement. Unfortunately for many therapist and their patients this is where the insurance companies end their treatment, leaving a gap from pain free to performance. I bridge the gap from pain-to-performance with treatments and workouts that address both the physiological and psychological components needed to regain full workload capacity and function. 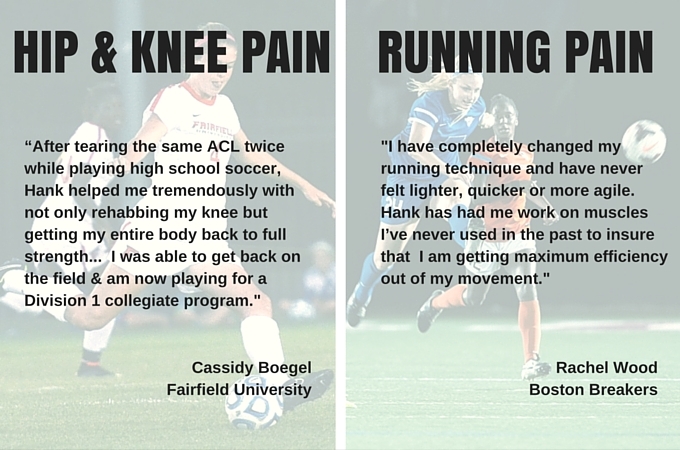 As a midlife athlete myself I know first-hand the aches and pains that not being 18 bring. However, I do not accept that pain is a natural part of the aging process and something we simply need to learn how to live with. Pain is a signal of dysfunction. Something in dysfunctional is a problem. 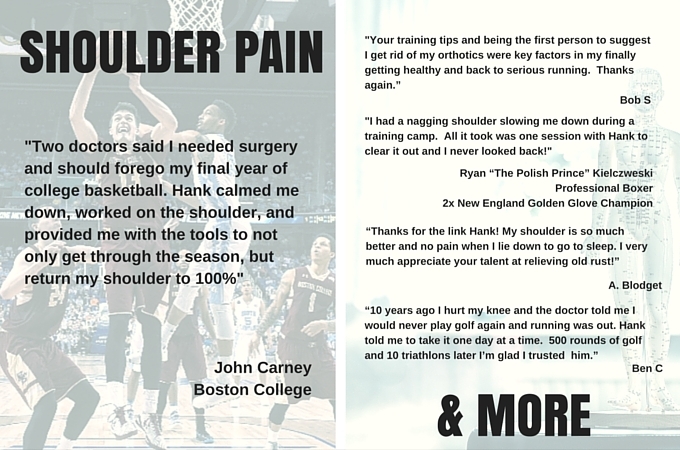 As you continue to scroll down the page you will find a few more examples of the many clients I have helped solve specific pain and performance problems. If you want to read more about one of my unique approaches to pain and stress I would suggest clicking any of the following links to learn about my CNS Reboot, or my Run Pain Free Guarantee. If you want to "see" the results of some of my treatments I encourage you see what is possible by watching my Ankle Reboot videos.